Poland host the Netherlands in an international friendly fixture in Gdansk on Wednesday night. 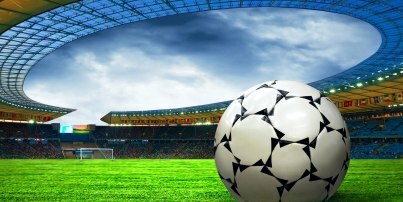 Who will come on top?This article contains our POLAND v NETHERLANDS betting preview with predictions, expert tips, betting odds, starting line-ups, bookie promotions and no deposit free bets on the International Friendlies. Poland - who will meet Germany, Northern Ireland and Ukraine in Group C of Euro 2016 - were 5-0 winners at home against Finland in their last friendly match back in March. They have won each of their last five matches and have been in sublime form in recent years, losing just once in their last 18 games as only Germany beat them in September 2015. Adam Nawalka will also be without Pawel Wszolek and Maciej Rybus both sidelined with injuries while Przemyslaw Tyton, Pawel Dawidowicz and Artur Sobiech have been cut. Lewandowski and Milik are expected to lead the line, while Boruc will start between the posts. The Netherlands failed to reach Euro 2016 after enduring a dismal qualification campaign and had to settle for a 1-1 draw with Republic of Ireland on Friday. Prior to that, Holland's 3-2 defeat to France in March was followed by a 2-1 over England. As consequence, they have won only six of their last 16 matches in all formats (L7-D3). The Oranje travel to Poland with almost a full squad. Manchester United defender Daley Blind is struggling with fitness and will not be risked. Luuk De Jong and Bas Dost are likely to start up front with Georgino Wijnaldum and Memphis Depay providing support from the flanks. Poland (4-4-2): Boruc – Piszczek, Wawrzyniak, Glik, Pazdan – Blaszczykowski, Jodlowiec, Grosicki, Krychowiak – Lewandowski, Milik. Netherlands (4-4-2): Cillessen – Blind, Veltman, Aanholt, Vlaar – Wijnaldum, Strootman, Depay, Van Ginkel – De Jong, Dost. "Poland v Netherlands predictions, betting tips, lineups and free bets (International Friendly - June 1, 2016)"